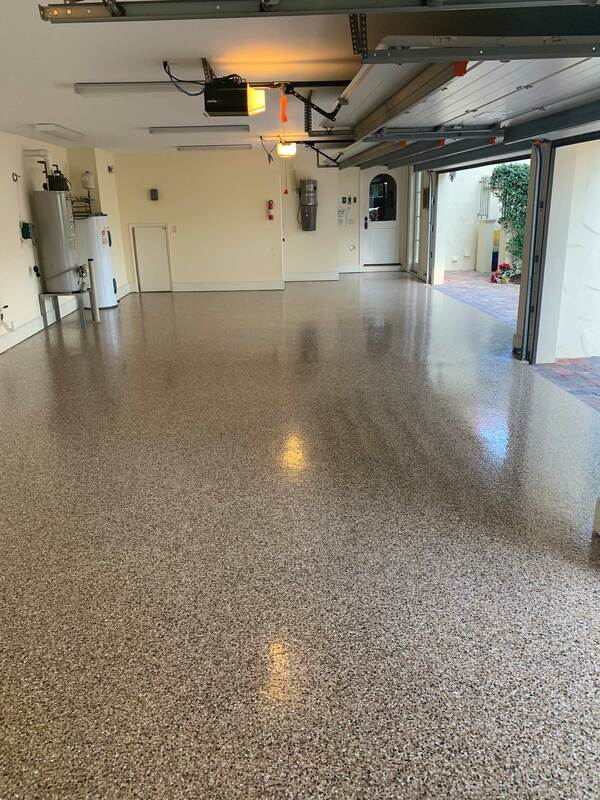 Superior Floor Coatings is a leader in the industry, servicing the Port St. Lucie area, providing epoxy coating and polished concrete systems for residential and commercial applications. We offer a wide range of coating and covering systems to suit all your specific flooring needs. Our epoxy coating systems are fast to install, and last much, much longer than any traditional floor paints. Our Commercial Floor Coating division specializes in floor coating systems for a wide range of industrial floor requirements from food processing to heavy manufacturing. We have experience in transportation, pharmaceutical and light manufacturing as well. Common applications include Automotive Showrooms, Chemical Processing, Food Processing, Food Processing, Educational Facilities, Health Care Facilities, Warehouses, Manufacturing, Secondary Containment and Air craft Hangars. Call us today at 772-207-9668 to solve your flooring dilemma! Polished concrete is a mechanical grinding process that utilizes industrial diamonds and impregnating hardeners and protectors to level, densify, polish and finally protect the floor from within the interior of the concrete surface. Polished concrete is concrete that is ground with a variety of diamond tooling starting with coarse grits and progressively changing to finer grits of diamond tooling. In this process, the surface of the concrete is densified to help with the polishing process. Different types of concrete densifiers are used and the type used is determined by the type of concrete substrate being polished, whether it is soft, medium or hard concrete. During the grinding and polishing process, color may be added to enhance the beauty of polished concrete. Finally, a concrete protector may be added and burnished to add protection to the polished floor. Garage floor epoxy in Port Saint Lucie is the most popular way to update your garage and boost your home’s value. This type of residential epoxy flooring achieves a dust-free, low-maintenance and beautiful garage floor resistant to spills and damage. Our epoxy garage floor installers can help you achieve just the look you’re going for. All of our garage floors carry a LIFETIME WARRANTY! We offer all types of epoxy solutions, from solid high-shine epoxy floors to breathtaking metallic epoxy floors. Because epoxy is applied to your concrete as a liquid, we offer endless ways to customize your garage flooring. A two-component 100% solids epoxy installation, either as a 2 or 3 coat system. Can either be clear or pigmented. This is the most cost effective system with good wear. 1/16th inch to 1/8th inch - A three-component system for moderate to heavy traffic, highly decorative. This is used in industrial, commercial and residential. Most commonly used in commercial kitchens. A hybrid mix of epoxy with elastic properties. This is used to repair cracks in concrete pads and to fill construction joints where clean-ability is required and meets FDA and USDA regulations. Extremely scratch and stain resistant. Won't peel or crack. Green and hypo-allergenic (USDA approved for schools, kitchens etc). You can choose the level of sheen, from satin to high-gloss. Testing has shown that polished concrete typically meets or exceeds all OSHA and ADA slip resistant codes even when wet. Outlasts many other flooring options like carpet, tile and vinyl. 1/8th inch to 5/16th inch - A three-component system mixed as an epoxy mortar to restore badly worn concrete and add a completely fresh surface. 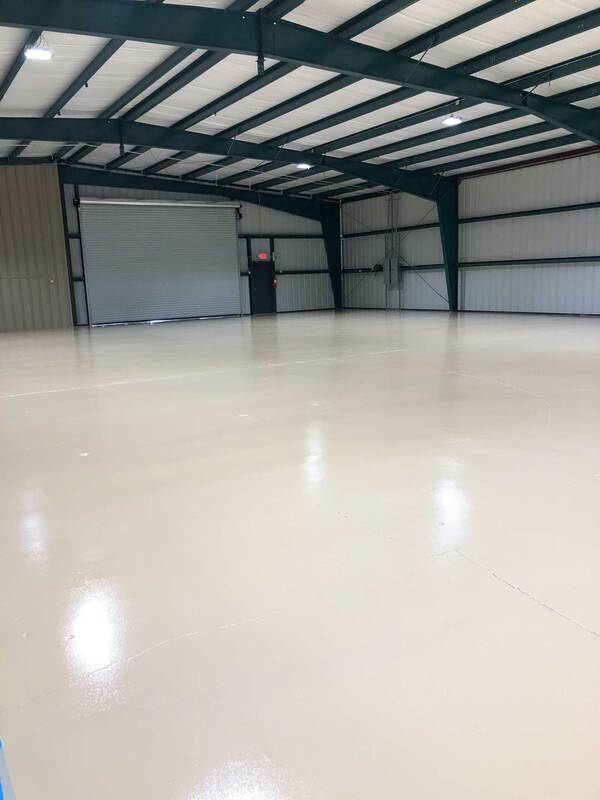 A two-component 100% solids epoxy is used in warehouses, auto dealership service departments and industrial locations where a crisp straight line is required. This is a very high wearing stripe. 772-207-9668 or Fill out our simple Contact Form for more information. Superior Floor Coatings is a leader in the industry, servicing the Port St. Lucie area, providing coating and covering systems for residential and commercial applications.